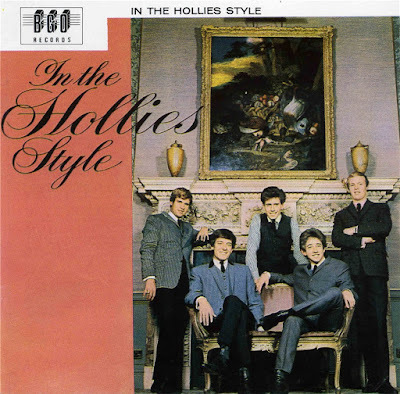 Released only ten months after their debut album, Stay With the Hollies, their second album was a huge leap forward in every respect. Their famous airtight harmonies were now in place, and the sloppiness of the instrumental attack gone. 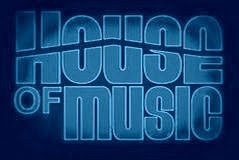 Most important, the group developed enormously as songwriters. 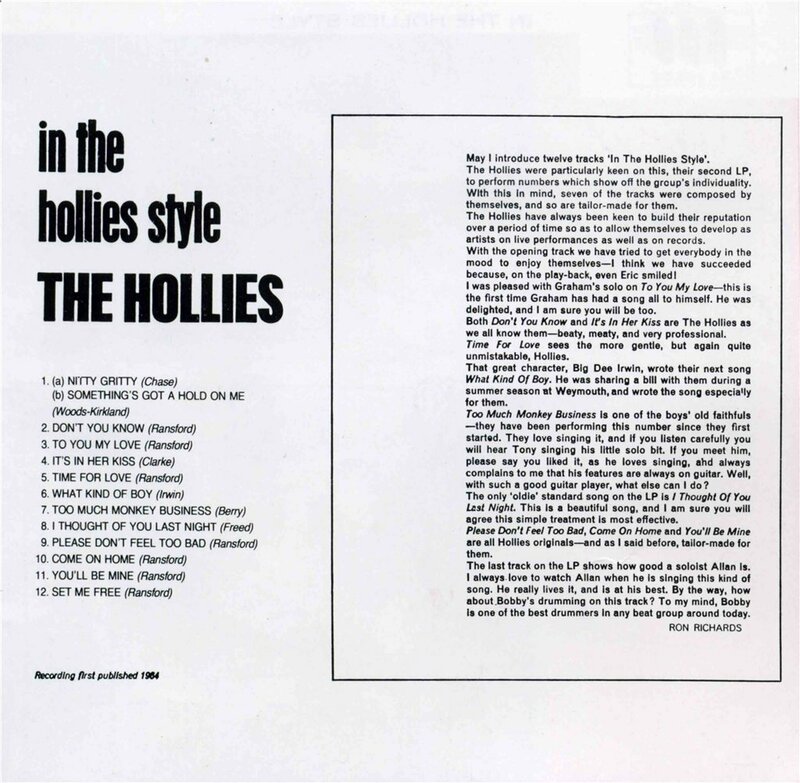 Eight of the 12 tracks were Hollies originals and quite skillful in their mastery of the British Invasion essentials of driving, catchy melodies and shining harmonies. A couple of the covers are duds, but the "Nitty Gritty/Something's Got a Hold of Me" medley is first-rate, and the version of "It's in His Kiss" (retitled "It's in Her Kiss") respectable. 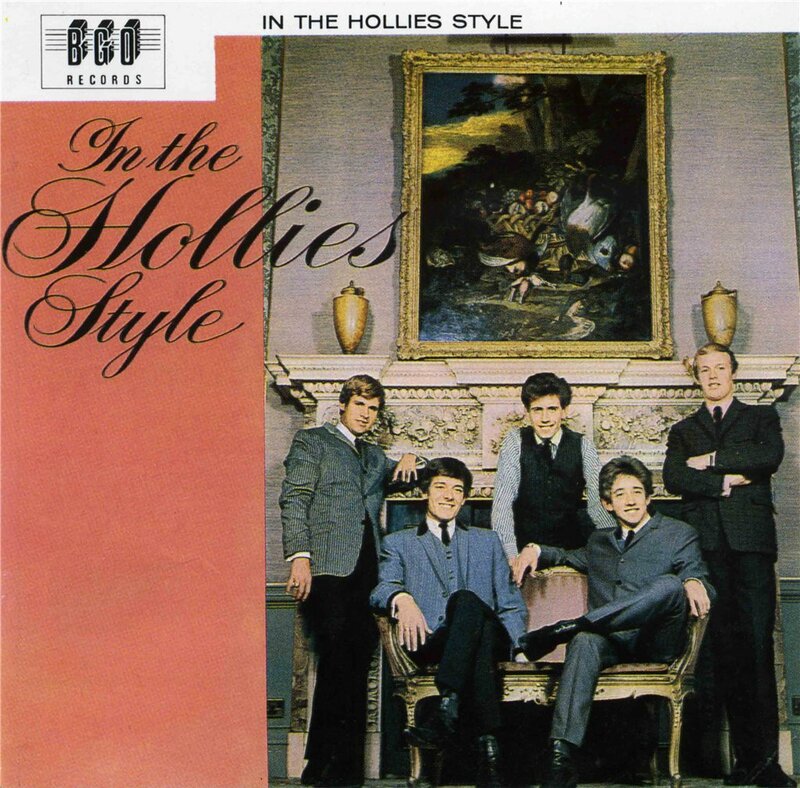 The Hollies weren't from Liverpool (though Manchester is fairly close), but this nonetheless ranks of one of the very best Merseybeat albums not released by the Beatles themselves. It doesn't include any British or American hits, but "Come On Home," "To You My Love," "Don't You Know," and "What Kind of Boy" (the last of which was written for them by one Big Dee Irwin) will appeal to any British Invasion fan. Surprisingly, none of the tracks were ever released in the United States, making the reissue all the more desirable an item for British Invasion collectors from U.S. shores, who most likely missed it entirely the first time around. 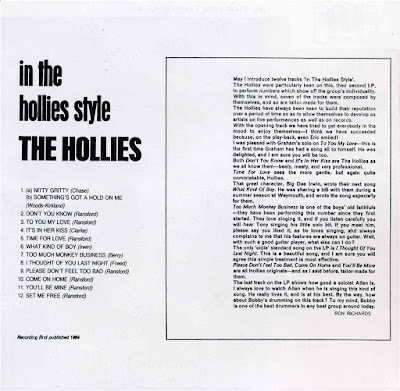 Otro gran disco de the hollies,gracias.